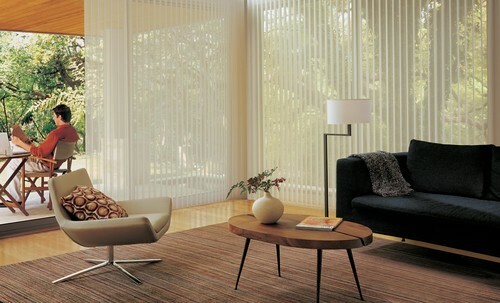 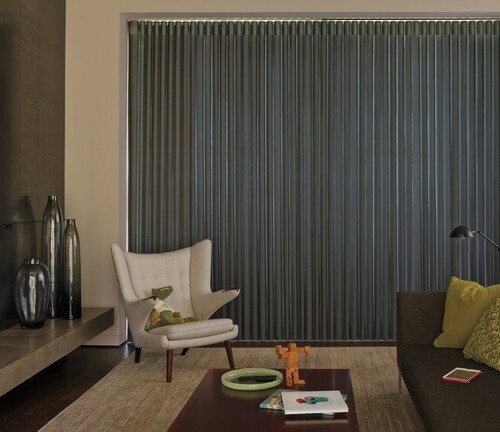 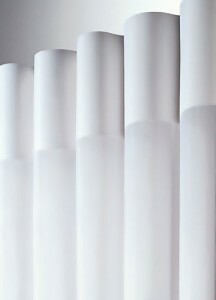 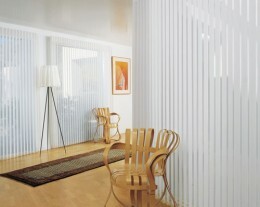 Luminette Privacy Sheers are a vertical application with a sheer fabric face to let light in and soft fabric vanes to keep light out, they provide endless ways to manage light and privacy in expansive applications. 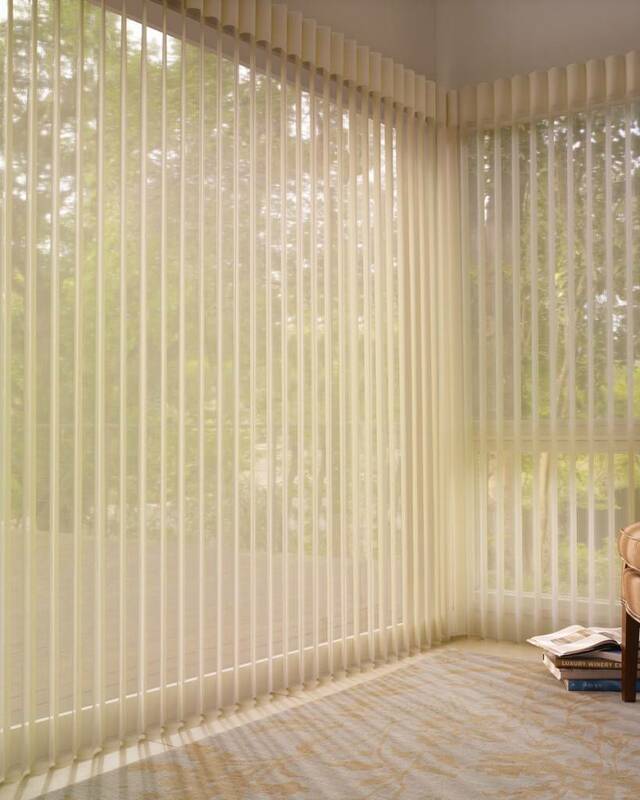 Perfect for large windows and sliding glass doors, their superior UV protection meets both your decorating and practical needs. 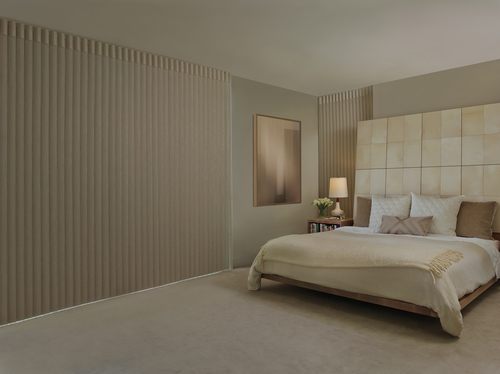 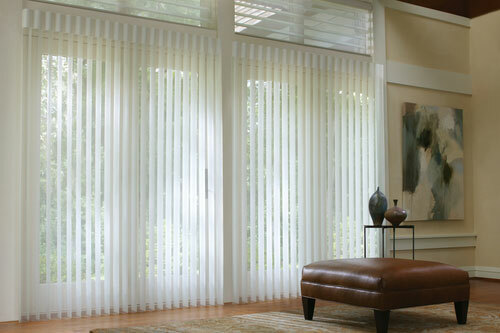 Modern Luminette draperies create a tasteful, tailored backdrop for any room. 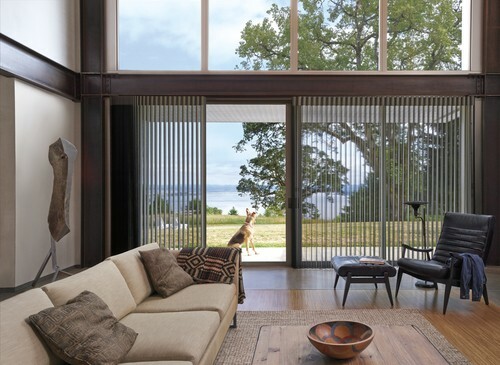 Perfect for large windows and sliding glass doors.